Petroglyphs or rock drawings are the earliest writing form found in the Western Hemisphere. Petroglyphs can be found all over North America. The ancient Maya and Aztec were known to write on cloth and deerskin. 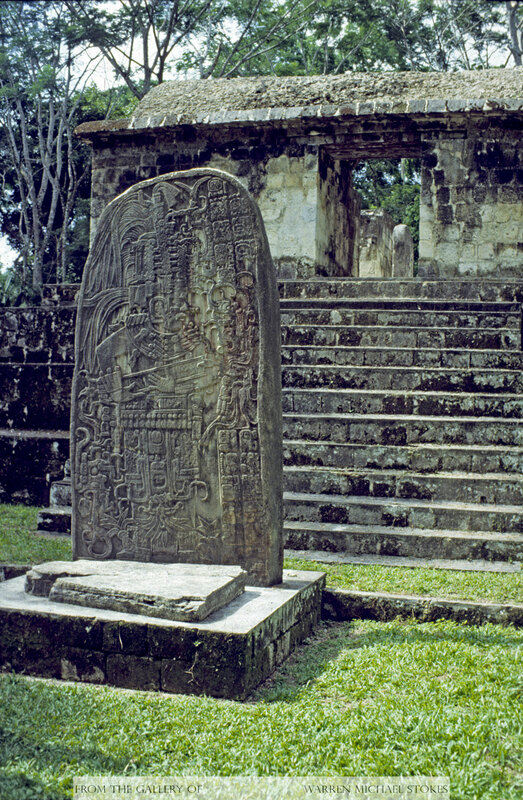 The Maya also carved hieroglyphics in stone. However, mostly the Aztec and Maya wrote on paper. The paper, which came from the wild fig tree, was called amate. It was stripped from the bark with stone knives, and then boiled in an alkaline solution until the fibers separated. Then, it was beaten until it was pliable and could be made into sheets. Paper was in such great demand that communities sprang up where the fig trees were growing. Different towns produced different types and colors of paper. Most of the paper ended up as books or was used in religious ceremonies. Mayan hieroglyphics are like no other type of writing system found in the ancient Americas. Mayan words were developed by using various combinations of 800 glyphs. It is believed that each glyph represented one entire syllable. Both the Mayans and the Aztecs used logographs which stood for entire words or concepts. This system worked much the same way as texting does today (omg). Most Mayan writing found on stelas, staircases, and in and on various ancient buildings tells us about a historical event. In addition, much of the Mayan writing that has survived tells of weather predictions as well as astronomical predictions. Most of the Mayan and Aztec codices and books were burned by the Catholic clergy who first arrived with the Spaniard Conquistadors. Much has been made of the fact that the Inca had no known writing system. However, many scholars would disagree. They would state that the Inca quipus was not just an accounting system, but also a writing system. It used over one hundred individual strings of different colors. These 100 or more strings were held together by one main string. Where the knots were found, told the reader who was called a quipucamayoc, what was being said. The job of the quipuacamayoc was no easy task. The knotted system was very sophisticated, and it involved the reading of hundreds of colors. Eyewitnesses tell us that some of the knots stood for words, and that some quipus actually contained poetry. Most of the quipus were destroyed by the Catholic clergy who believed that they were the product of the devil. Today, there are only about 500 original quipus remaining.